He was 19-years old when Divyanshu Ganatra lost his eyesight to glaucoma. At 20, he was told the best you can do is chalk and cane furniture. At that point in time, he said he didn't get it; it simply did not make business sense. Ganatra decided to choose businesses that are niche, which have a certain USP, which made an impact in the world. At 38, he is a well-established entrepreneur with 19 years of hard work put in to build two successful ventures – one for profit and another not for profit. Ganatra was quick to realize he wasn’t cut out to be an employee. Started in 2006, Yellow Brick Road works in the fields of education, corporate training, cross-cultural research, psychometric assessments and counseling. The company aims to promote positive psychology actively; moving away from the conventional model. With practically no money, Ganatra built this company up and has since then conducted training for other entrepreneurs. “I believe the way I am made as a person; I function best as an entrepreneur” says Ganatra, a clinical psychologist, educationist and researcher. Prior to Yellow Brick Road, Ganatra owned Compulink, which he floated in 1998 as an assortment of services ranging from communication solutions and services, computer hardware trading and maintenance to DTP operations. He used this platform to pioneer computer training and education for individuals with special needs under this umbrella. 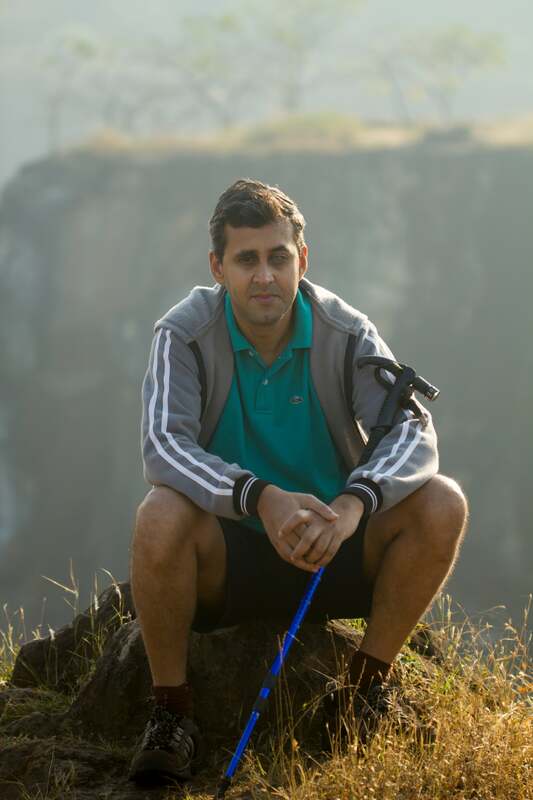 Ganatra made the tough decision to take the plunge to shut shop of a successful business and start a new one with zero capital because he wanted to start something else and move on. The entrepreneur in him says people can use entrepreneurial skills in their everyday life. Ganatra says being blind and running a venture, one has to face a lot of attitudinal barriers. 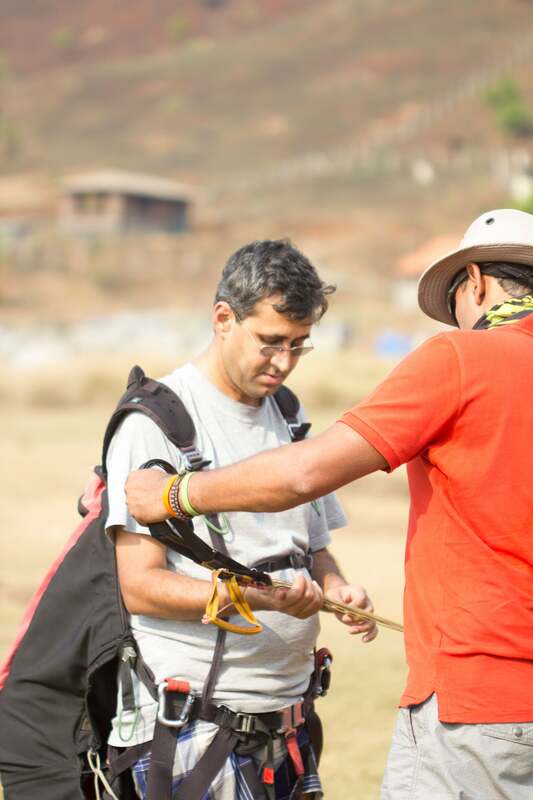 It is a major challenge to get people engaged and help them overcome their awkwardness..
Ganatra, who does not believe in running social ventures as a charity organization, has also founded Adventures Beyond Barriers Foundation (ABBF) which is committed to supporting accessible adventure sports across avenues including marathons, mountaineering, and scuba diving. Established in 2014, ABBF has impacted 3,500 people with disabilities and 1.5 lakh people in the mainstream community. Ganatra hopes to build the country’s first completely accessible community space, help train a team to represent India at the Paralympic Games for tandem cycling, and catalyse a world where disability is only read as another identity marker. Sports has the power get shatter stereotypes and make a difference says Ganatra. Ganatra says it is a bit harder, the challenges are much more, but the challenges faced by entrepreneurs like him have nothing to do with to their disability. “The challenges are because of the biases in the society in terms of not having equal access, when you go to colleges and you don’t have books, you don’t have any study material, then you have to work four times as hard,” says Ganatra. There are too many social barriers. Ganatra believes challenges are a part and parcel of an entrepreneur’s life. The social stigma attached to blindness is not prevalent all around the world. India lacks the infrastructure and the opportunity for the community to flourish believes Ganatra. Ganatra says he wants his community to feel the same in India as he has experienced abroad. He hopes to create a more equal, accessible and inclusive world, one marathon, one climb, and one ride at a time. India is still 500 years behind and that is something I am determined to change says an optimistic Ganatra.